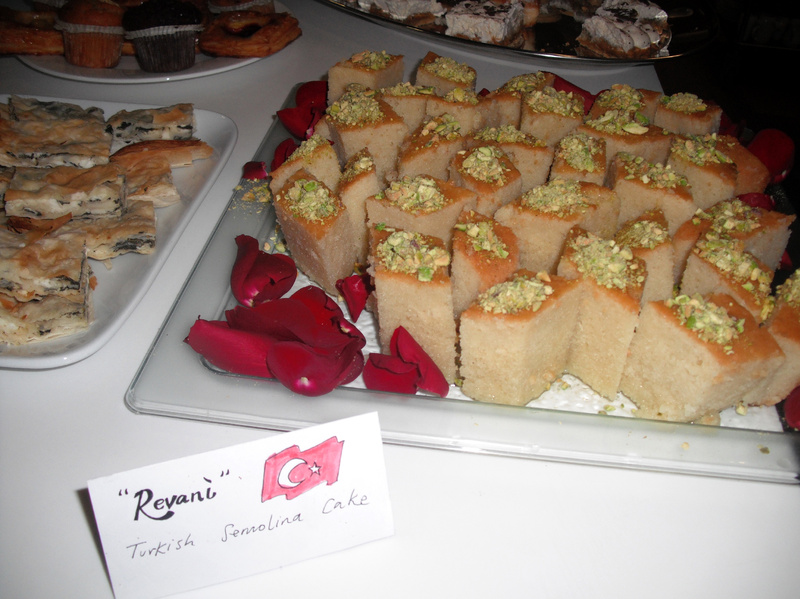 Revani slices are served with Turkish style tea as a warm gesture of hospitality. It keeps very well due to its syrup, yet surprisingly light and not sickly sweet. Mix Semolina, flour and baking powder together in a bowl. In a separate bowl, beat the sugar with oil and eggs. Combine both mixtures and pour into a greased baking tray. Bake at 175 degrees for 25 minutes. Meanwhile, bring the water and sugar together to a boil. Simmer gentle until sugar dissolved and water reduced and syrupy. Once cake is cooked, remove from oven and ladle syrup over ladle by ladle. The cake will continue to soak up the syrup, even if it seems way too much at first. It benefits from chilling a few hours before serving.